President Donald Trump told Arab leaders on Tuesday that he intends to move the U.S. embassy in Israel to Jerusalem, as Reuters' Matt Spetalnick and Maayan Lubell report. And, as the BBC reports, Trump’s calls have sparked warnings from Arab leaders. The International Olympic Committee has suspended Russia from the 2018 Pyeongchang Olympics for its alleged state-sponsored doping scheme at the 2014 Sochi Olympics—but said it would permit some Russian athletes to compete neutrally and by invitation only, as the Wall Street Journal ’s Sara Germano and Thomas Grove report. Oil edged higher on Tuesday, supported by strong demand, expectations of a drop in U.S. crude inventories, and an OPEC-led deal to extend oil output cuts, as Reuters’ David Gaffen reports . Mikheil Saakashvili, the former Georgian president turned Ukrainian governor, was freed from a police van by hundreds of angry supporters on Tuesday just hours after he had been dragged from his apartment in Kiev by the security forces, as the FT’s Roman Olearchyk reports. Reporters Without Borders has called for the immediate release of 41 journalists who have been held hostage by Houthi rebels inside the headquarters of the Yemen Al Youm TV channel in Sanaa for the past three days. Source: Reporters Without Borders. — CSIS’s Jon Alterman on the NewsHour. 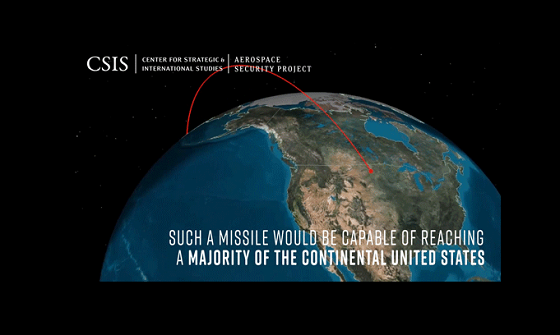 The CSIS Aerospace Security Project produced this short clip explaining North Korea’s latest missile test. (Photo credit should read SERGEI SUPINSKY/AFP/Getty Images). Police officers use pepper spray during clashes with supporters of former Georgian president attempting to block a police van in which he is transported after being arrested, today in downtown Kiev. “Terrorism, the Internet, and the Islamic State’s Defeat: It’s Over, But It’s Not Over.” CFR’s David Fidler writes that the roll-back of the self-declared Islamic State group’s territory does not mean that its online presence has shrunk. The CSIS Project on Nuclear Issues will host the second day of the “PONI 2017 Winter Conference,” featuring presentations from nuclear experts and a mock trial scenario examining nuclear terrorism. And, join the Wilson Center at 10:30 a.m. for “Launch-The Leverage Paradox: Pakistan and the United States,” a discussion on U.S.-Pakistan relations. CSIS hosted "Hydrogen and Green Shipping: Zero-Emission Fuel in the Maritime Sector," a discussion with Ambassador Kåre R. Aas of Norway. Russian Roulette posted a new episode today, “Of Interference in the Domestic Politics of Others and What Comes Next” on Russian interference in the U.S. election and paths forward for U.S.-Russia relations at a time of mutual distrust. Thanks to everyone who wrote me about Jerry Lee! And since I do take suggestions and requests… G oodness, gracious, great balls of fire!